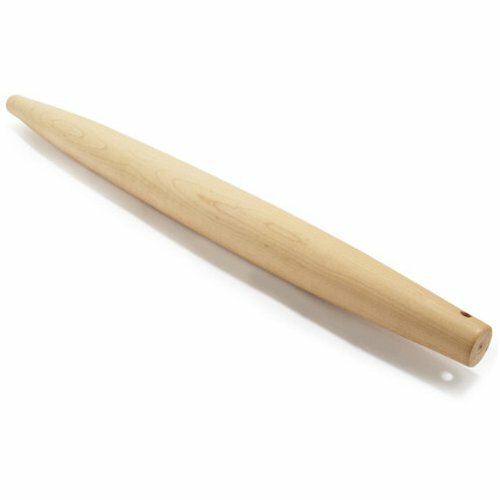 J.K. Adams French Tapered (Dowel) Rolling Pin FRP-1 , 20½" x 1¾"
Bakeware is one of my favorite categories. It's also one that can tend to overwhelm with gadgets and choices. Let's keep it simple, shall we? 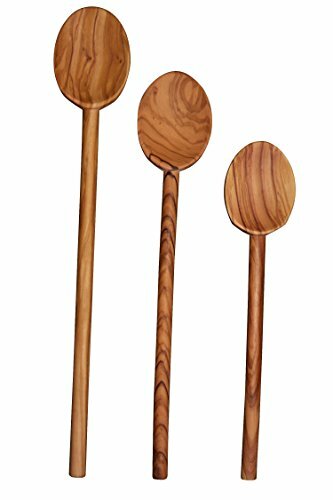 When you think of it, all you really need beyond measuring cups and spoons is a wooden spoon, a large mixing bowl, and a pan to bake in. With that said, if you find yourself baking a lot, or just need tools for making the process easier and the outcome better, here are some great options to choose from. In some cases, I've listed a variety of choices for you to consider, to better fit budgets, needs, and preferences. Mixing bowls are the workhorses of the kitchen, and beautiful ones can go straight to the table for serving without hesitation. When an item can graciously multi-task for me, it earns its keep. All the mixing bowls listed here are nesting sets - helpful for taking up less space in the cupboard, and for visual cohesion on the dinner table. The first set is stoneware, by French company Emile Henry (pronounced Emeel Ahnree). 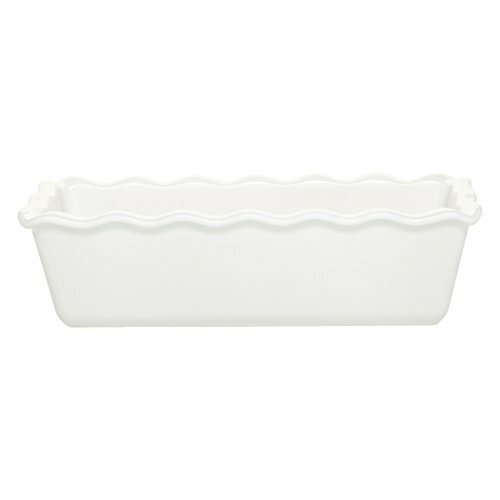 Family owned and operated since 1850, Emile Henry has established a worldwide reputation for manufacturing the finest quality ceramic ovenware, gourmet cooking products, and baking products. 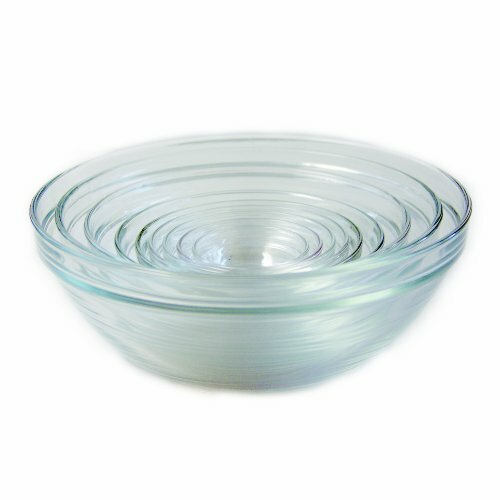 I like to think of these mixing bowls as the modern answer to our grandmothers' yellow ware. I show them here in the set of three, but they can also be purchased individually. Speaking of workhorse in the kitchen, stainless steel certainly is. 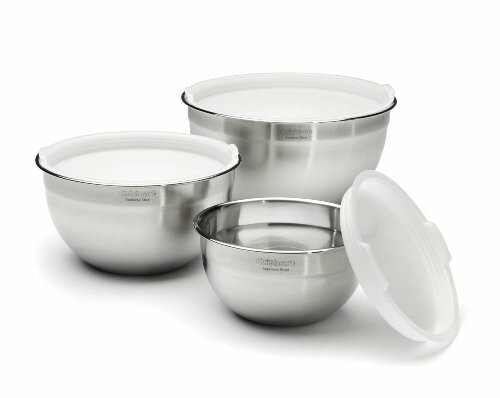 These non-reactive bowls by Cuisinart would come in handy for so many things - place one over a simmering pot of water and you've got a double boiler for melting chocolate; mix up a salad and pop the lid on and your good to head out the door for a potluck. These would be a great option for your camp kitchen, too. 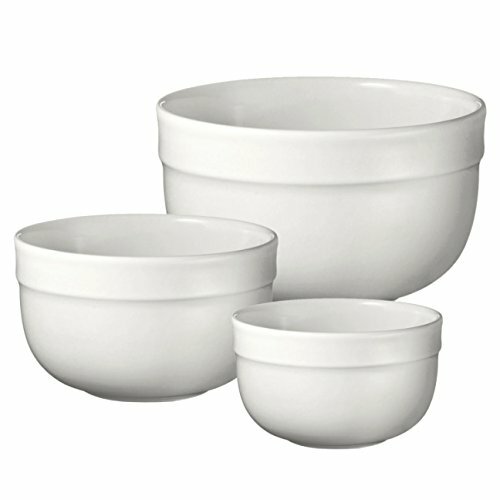 This set of Duralex mixing bowls is classic in form and function. Mix up a batter, toss a salad, soak dry beans, bring to the table piled high with mashed potatoes - no need for a miriad of mis-matched bowls in your cupboard. And, with 10 sizes to choose from, there are enough to share with little ones for their tiny kitchens. You'll find that, for baking, I recommend pieces made from materials that have been found to be the best, most even conductors of heat - an important factor in producing exceptional baked goods. 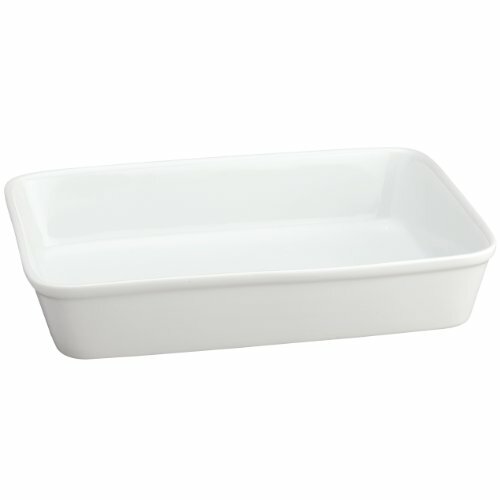 Professionals choose bakeware made from high-quality stoneware, porcelain, and aluminum. This stoneware pie plate from Emile Henry is made with clay formulated from the same mineral-rich limestone soil in Burgundy, France that grows and produces superior wines. Burgundy clay evenly and slowly diffuses cooking heat to the center of the dish, baking the food evenly and producing superior flavor and aroma. Of the ceramics, porcelain is the most durable and also provides superior even heating. 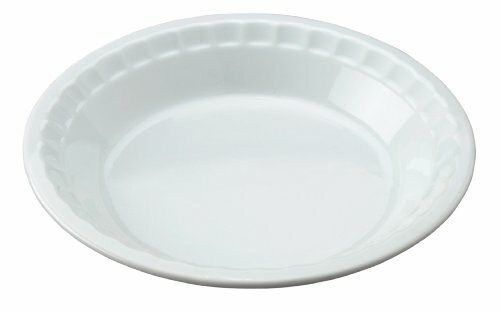 This white dish from HIC Porcelain is a classic style and generous 10.5" size. 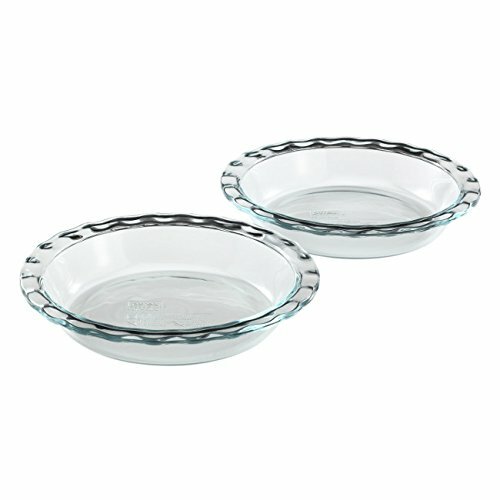 If for nostalgia's sake alone, I have to include my stand-by Pyrex pie dishes here. In my experience, a butter crust turns out beautifully, and the price is such that you wouldn't mind giving a pie away and not expecting the plate back when it's gone. Cake stands can be used for so much more that cake! Use them as serving pieces on a buffet for everything from mini muffins to cinnamon rolls to cheeses. Different sizes and materials make for an interesting display - you get the idea here with ceramic, wood, and glass. 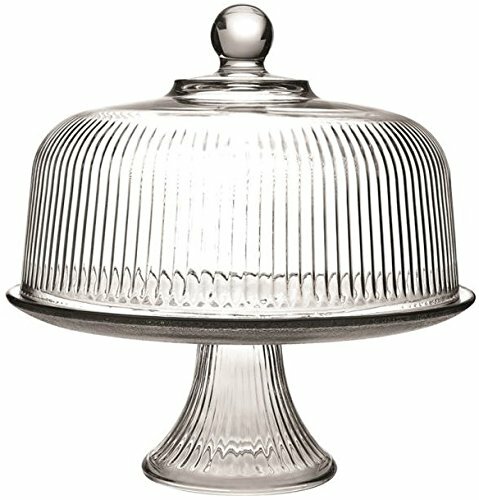 The clear Anchor Hocking cake plate and dome has been in our kitchen for years. It's within easy reach on the top open shelf in our kitchen where we keep it when it's full, and when it's not. Inside, you'll most often find cake, cinnamon rolls, or muffins. 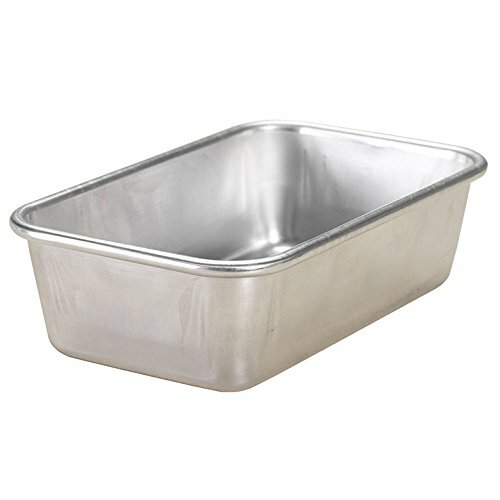 My recommendations for cake pans are similar to pie plates - stoneware, porcelain, and now aluminum as well. You may not know, but of the metals, copper is the best conductor of heat (yes, there's a reason behind beautiful French cookware beside the aesthetic). Second best? Aluminum. 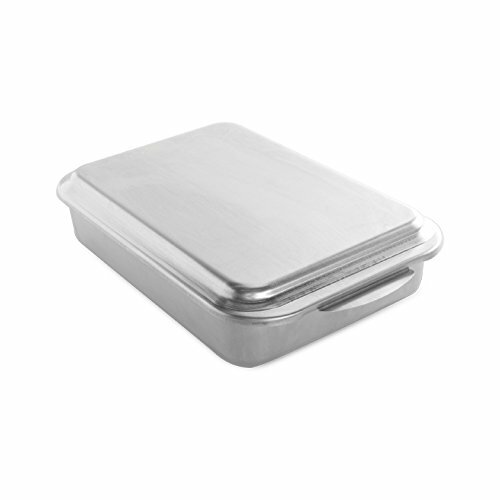 While there has been question about the safety of aluminum in cooking, professionals continue to use it for its superior, even heat conductivity, its durability, and its affordable price point. If you're concerned about aluminum and food co-existing in the oven, a lining of parchment paper is a simple solution (I use the unbleached kind). 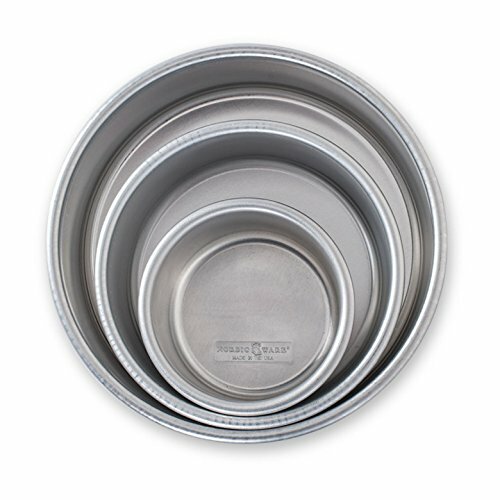 American company Nordic Ware is a leading producer of professional quality aluminum bakeware. Begun in 1946 by an enterprising husband and wife, Nordic Ware became well known in the 1950s with the invention of the bundt pan. 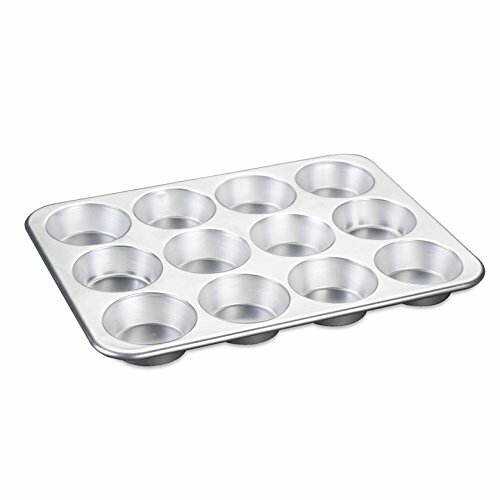 Still family owned, the company now produces everything from half sheet pans, to cake pans, to muffin tins (formed from a solid sheet of aluminum, so no lip or groove! ), made in their manufacturing facility in Minneapolis, MN. 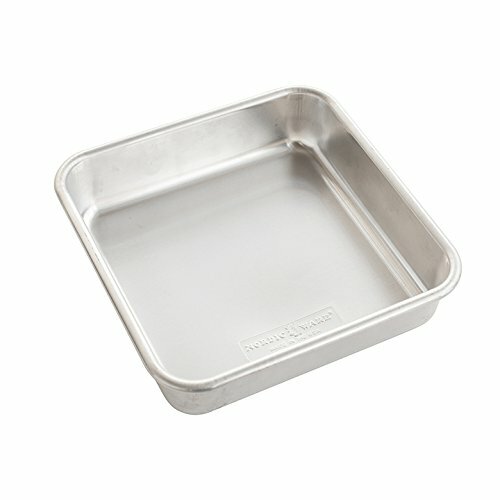 My Nordic Ware half sheet pans are some of the most-used items in my kitchen. I have four of them. While the grates on a cold gas range top might double as a cooling rack, there really is nothing like having the real thing. 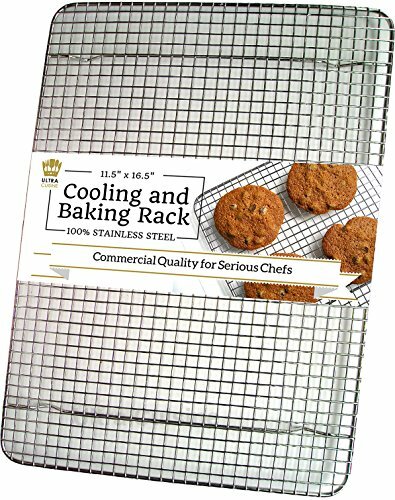 I use mine to cool the expected cookies, muffins, and breads, but they're also great as impromptu giant trivets when I have a multitude of hot pots coming out of the oven or off the stove top at once. Also? Baked bacon, instead of fried. Yes, put the cooling rack on a half sheet pan, lay fresh bacon on the rack, bake in the oven at 400 until done. No need to flip it. It's a great way to make a lot at once if you have a crowd to feed (Note: you WILL have to clean your oven after!). 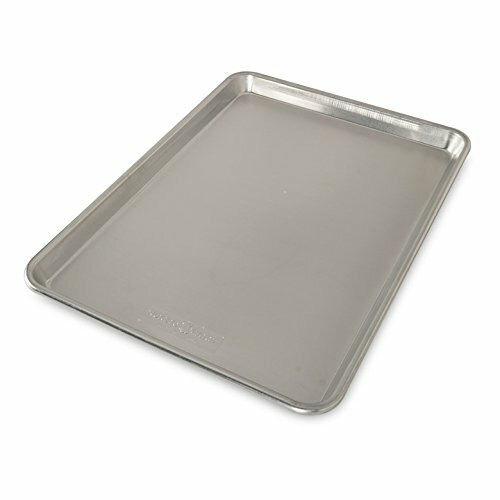 Helpful for lining baking sheets is the re-usable silicone liner. 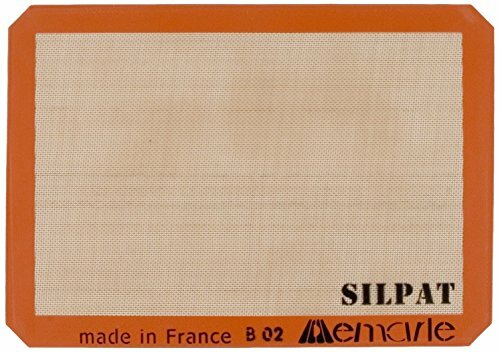 The Silpat was created and invented by frenchman M. Guy Demarle and is still made in France by his company, Sasa Demarle, Inc. 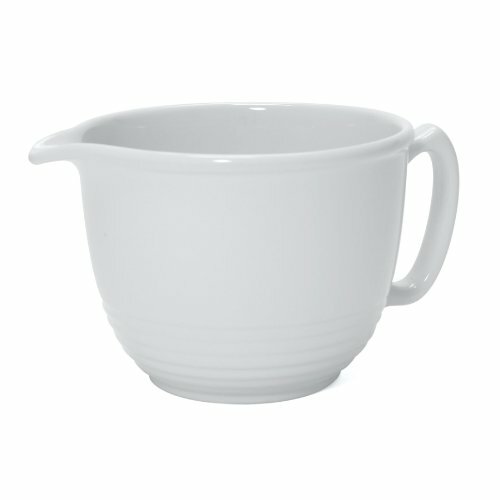 I've had a stoneware batter bowl in my kitchen since day one and if I were to lose it, I might feel like I've lost my right arm. From scrambling eggs, to mixing pancake batter, to pouring strained broth, it's safe to say that it's the most used bowl in the house. This one by Chantal is well proportioned and simple. A bit about whisks and spoons: buy the best and you'll only buy once. I received this 10" French whisk by Switzerland company Kuhn Rikon as a promo from the company rep back when I was a buyer. The quality is amazing. The handle is slightly weighted and feels good in the hand. Highly recommended. 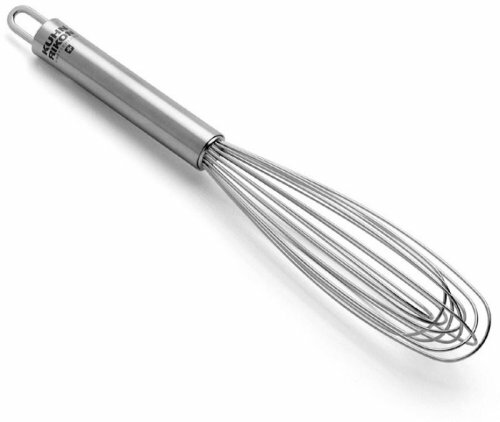 The unique design of this balloon whisk provides for the same effect as a traditional balloon whisk, without the bulk. Genious, those Swiss. Can I just say how beautiful olive wood is? Add to that its natural, durable, and renewable qualities, and you've got a winner. Scanwood is a Danish company who sources the olive wood from Italy where old trees are harvested to make room for new olive trees for olive production. Scanwood's products are manufactured in eastern Europe. 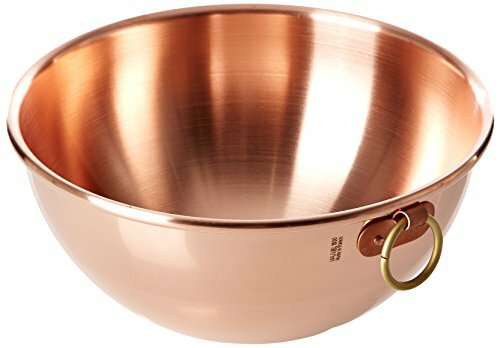 Oh, the beauty that is a copper bowl! 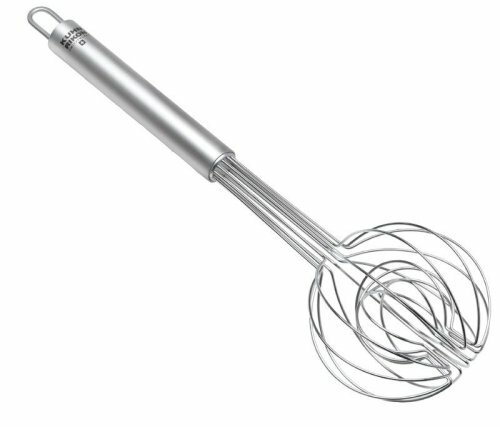 Loves, I know this is not for everyone, but if you're so inclined, the experience of beating egg whites with a ballon whisk in a copper bowl is beyond compare. The copper reacts with the proteins in the egg whites, creating magnificently high, stiff peaks in a short amount of time. The trick is having a large enough bowl - the egg whites will expand 7-8 times in volume - and a large whisk, and beating quickly in an large oval pattern, which incorporates air into the egg whites for those beautiful, glossy peaks. A similar result can be achieved in a large bowl made of another material, too, using the same large whisking pattern. A bit of cream of tartar may help provide the chemical reaction. Cooking is an art. Baking is a science. Exact ingredient measurements, mixing methods, bakeware types, and temperatures all come together to produce that hoped-for perfect result. Accurate measurements are key. Many chefs and bakers prefer weight measurement, which is consistent every time. 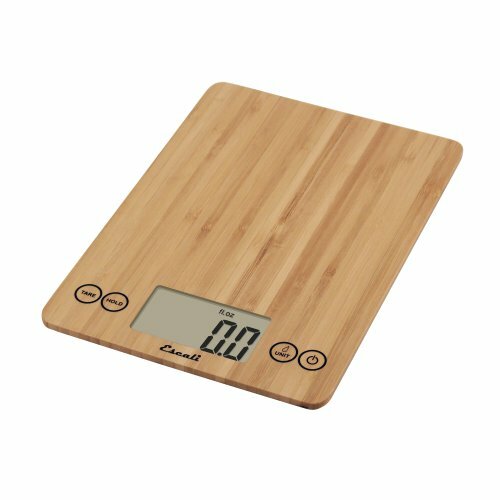 This digital bamboo scale by Escali is pretty and its slim profile makes it easy to stand it on edge and tuck it into a cupboard. Also useful are volume measurements for both wet and dry ingredients. 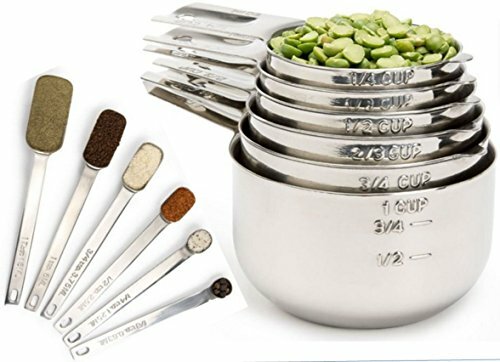 I like to keep two sets each of stainless steel measuring spoons and cups, so if one is dirty, there's another that's clean. 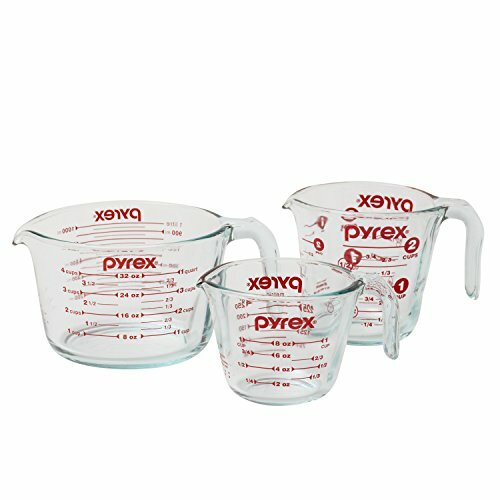 The clear Pyrex measuring cups come in handy for liquids so you can see to bring your ingredient right to the measurement line, then you can lift the cup to the mixing bowl and pour without spilling. A bit about baking tools: you don't need a lot. Just have the necessary few that'll earn their keep. Wood handled silicone spatulas in two different sizes are tools that you'll use over and over. Mine have lasted for years. If you find that you do a lot of zesting or like to shave chocolate or parmesan, a microplane does the job beautifully. 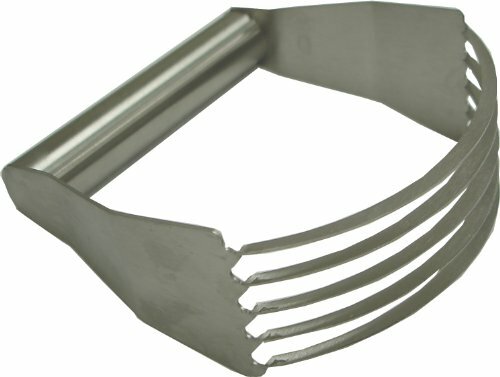 A protective sleeve keeps the blades from bending and dulling against other tools in the utensil drawer. 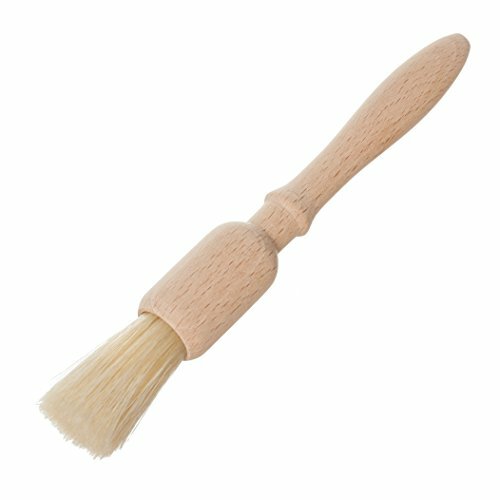 A pastry brush isn't only for brushing egg whites on pastries. I also use mine for dusting flour off my Kitchenaid when I'm done mixing. This one by German company Burstenhaus Redecker is made with natural boar hair bristles that won't melt! You can use two teaspoons from your flatware drawer to scoop and drop cookie dough onto cookie sheets if you like, but the process may go faster, and the cookies be more uniform if you use a cookie scoop. 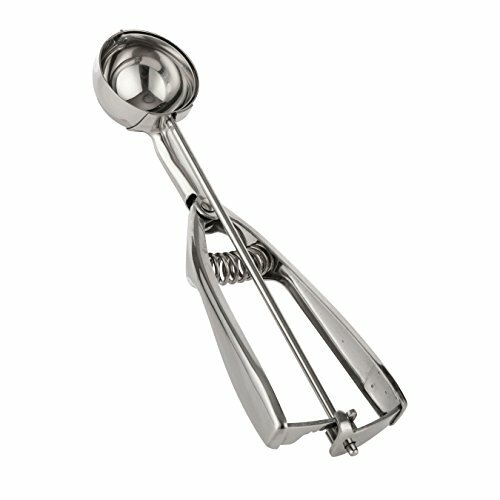 Squeezing the scoop handle was my guys' favorite part of cookie making when they were little. 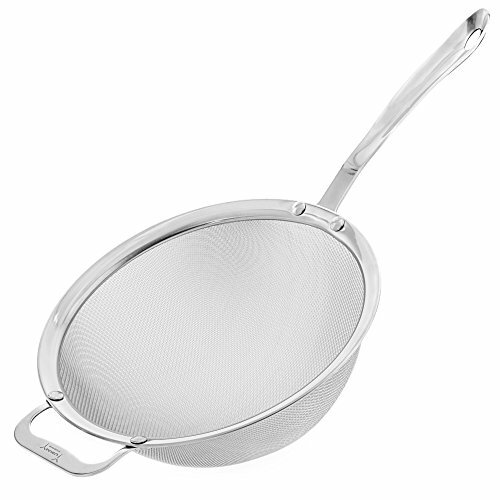 Strain gravies and sauces, sift flour, drain yogurts and soft homemade cheese, rinse quinoa - there are so many uses for a fine mesh strainer. This stainless steel one is similar to the one in my kitchen. A stand mixer is an investment piece in the kitchen. The iconic one is the Kitchenaid. While there are a variety of sizes and wattages to choose from, here's my counsel: buy the one that will serve you no matter what you make. The smaller, lower wattage tilt-head machines may struggle through a double batch of bread dough or triple batch of cookies. If you're confident that quantity bread-baking and cookie-making isn't in your future, then you shouldn't hesistat to purchase a smaller machine. However, if there is any possibility, go for what will serve you. This is the machine I purchased 16 years ago. It has mixed hundreds of loaves of bread and cookies. 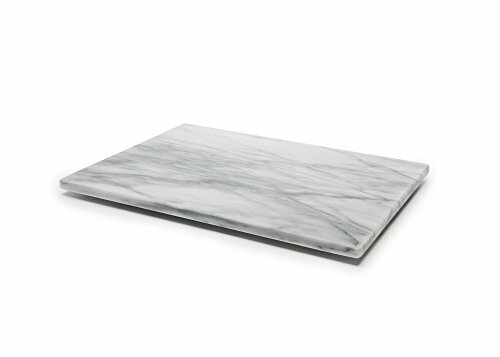 A marble pastry board isn't a kitchen necessity. If you have a smooth countertop, dust it with flour and roll out your dough. If your counter isn't smooth, dust a pizza peel or a large wooden bread board and roll out your dough. But, if you love the thought of having even a small slab of Carrara in your kitchen, and you appreciate rolling crusts out on a smooth, cold surface, here you go. But don't use it only for making the occasional pie. 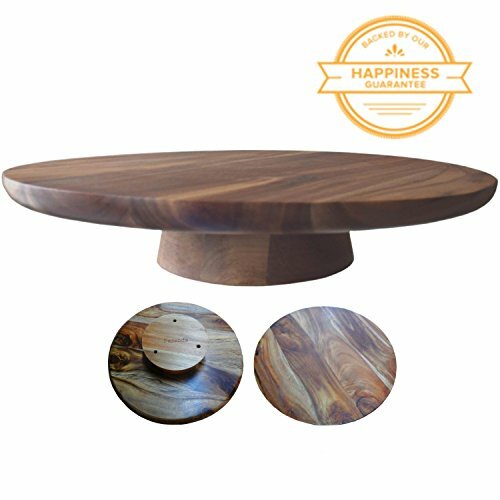 Use it to serve an elegant spread of charcuterie to family or guests, or place it beside your kitchen range, like I do, as a hot pot landing zone and tray for assorted oils and vinegars, salts and pepper. I found my French rolling pin in a thrift shop years ago and it quickly became my favorite for rolling crusts and cookie dough. Somehow, a simple dowel shape gives the baker more precise control. This one is solid maple from renouned American company JK Adams. 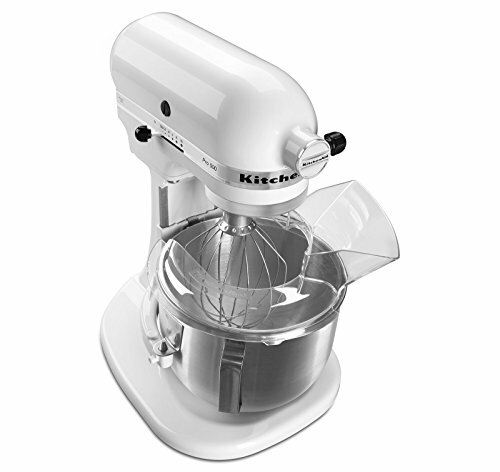 Speaking of pastry dough, this is the kind of blender you need. Each blade is on edge and cuts through cold butter like a knife - a more superior design than the ones with wires. Finally, a baker's experience wouldn't be complete without some key cloth goods. 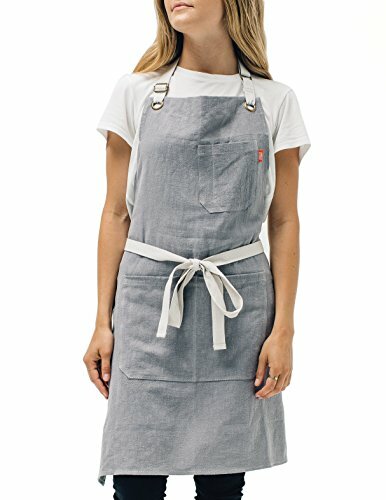 I appreciate a full apron like this linen one from Abbot Fjord. It's available in other colors as well. 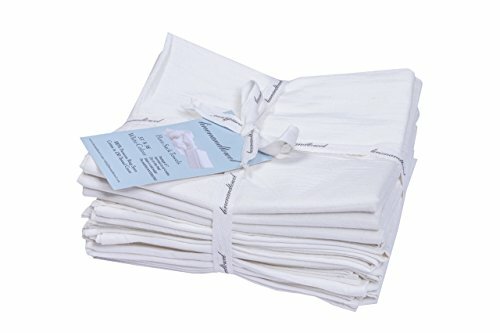 From covering rising doughs to wrapping and carrying out a freshly baked pie, white cotton flour sack towels are a baker's companion. These are the towels I have in my kitchen. Made from 130 thread count 100% ringspun cotton, they are substantial in weight and size and have a loop in the corner for hanging. Made in India. For kitchen hand towels or tea towels, I'm partial to linen. 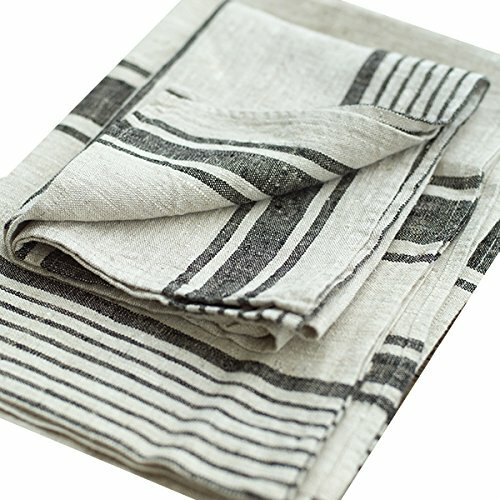 These LinenMe linen hand towels are beautiful in person and have a heavier weight and lovely drape. Made in Lithuania. If you're just starting out, I'd recommend: a set of mixing bowls, a wooden spoon, a silicone spatula, a French wire whisk, one set each of measuring cups and spoons, a French rolling pin, a roll of parchment paper, two half-sheet pans, one 9 x 13 cake pan, one 8 x 8 cake pan, a pie dish, a muffin tin, a pastry blender, seven flour sack towels, and four linen hand towels. At the holidays, we like to make gingerbread cookies. 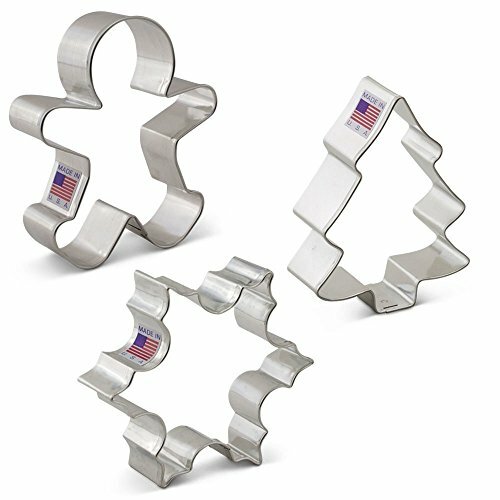 These cutters from US company Ann Clark, are classic and available in different package sizes. 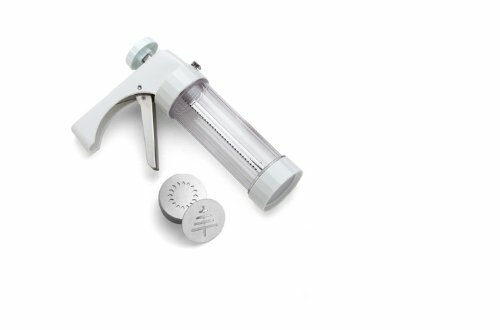 As a quick alternative to rolled sugar cookies, we us the Kuhn Rikon cookie press. The boys have always called them "shooter cookies". If you're a mama of littles and the thought of rolling out Christmas cookies with your kids makes you weary, try this. Fudge, caramel, brittle, and candy canes all require melting a sugar mixture to an exact temperature. 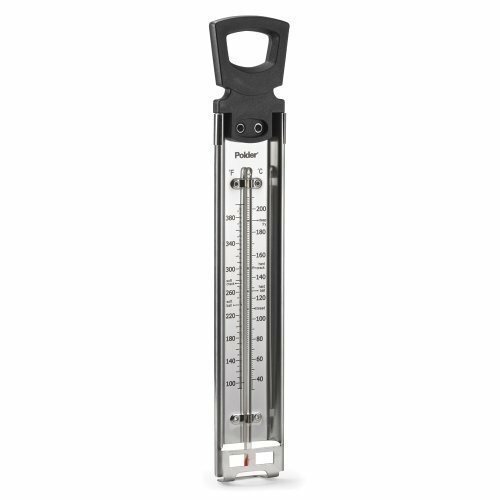 A good candy thermometer is a must. This one from Polder should last you a lifetime of holidays.